← vegan almond cookies – these are so good. Most of us spend the majority of our days indoors. Head down, focused, busy, thinking about our next move, constantly bombarded by news of the world, and tempted by one distraction after another. Restless. Fast. That’s life in the 21st century, the digital age. But when we’re ready to come up for air, to press pause on the craziness of our everyday lives, we find that nature – the one and only Great Outdoors – is there. Like a selfless old friend, it’s always happy to see you, always happy to share whatever it can give with you, and lets you stay however long you like without making you feel weird. I’ve come to love the outdoor spaces within and around San Francisco for their selfless and unassuming beauty. 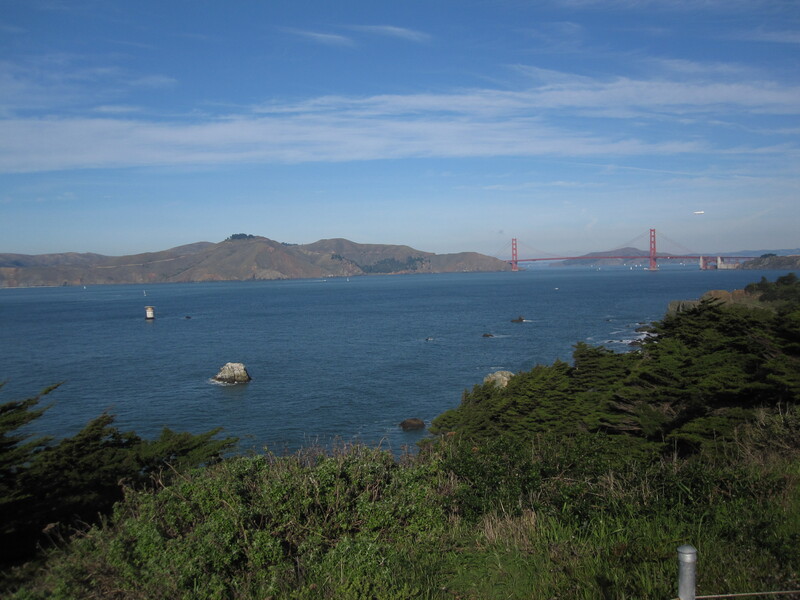 Lands End trail is the perfect example. Just a couple of miles from bustling downtown, where the land meets the sea, you’ll find a route dense with history and intrigue (shipwrecks! war forts!) and a kind of beauty that makes you forget for awhile where you are. 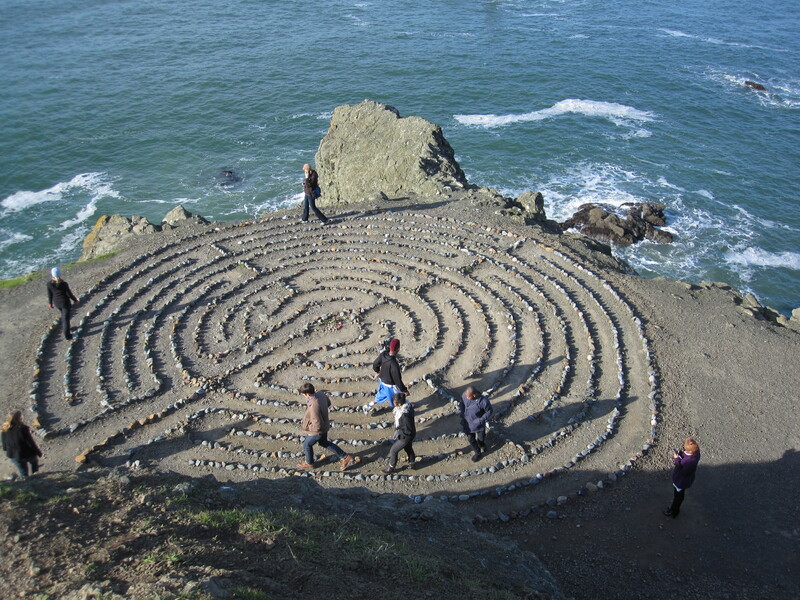 An unexpected labyrinth sits atop a cliff with panoramic views of the Golden Gate Bridge and the Marin headlands. Waves crash onto the rock-filled beach of a little cove. As the water is drawn back out to sea, it pulls some of the stones along with it, creating a click clack sound as the rocks knock each other about. 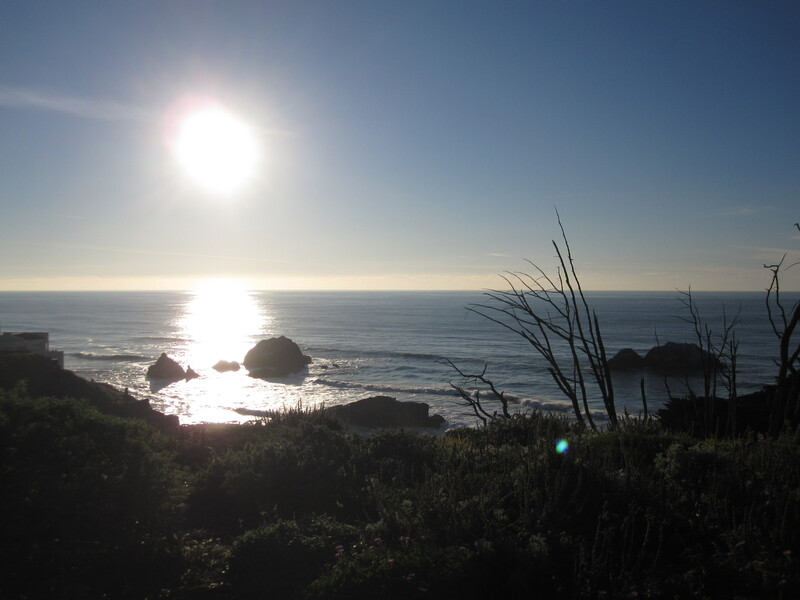 The ruins of the Sutro Baths, a 19th and early 20th century public bath house, are a great place to linger for awhile and watch the late afternoon sun retreating in the sky. It’s also a great place to ponder the idea of a ruin, (not something I generally associate with San Francisco, or even with the United States) – and be humbled by the reality that even though we might feel like we’re the only ones who’ve ever lived in and loved the places we call home, we’re not. There have been so many before me who have stood at the very edge of this continent and had a hard time processing the beauty and grandeur of what they saw. And like me, they probably also didn’t want that moment to end. 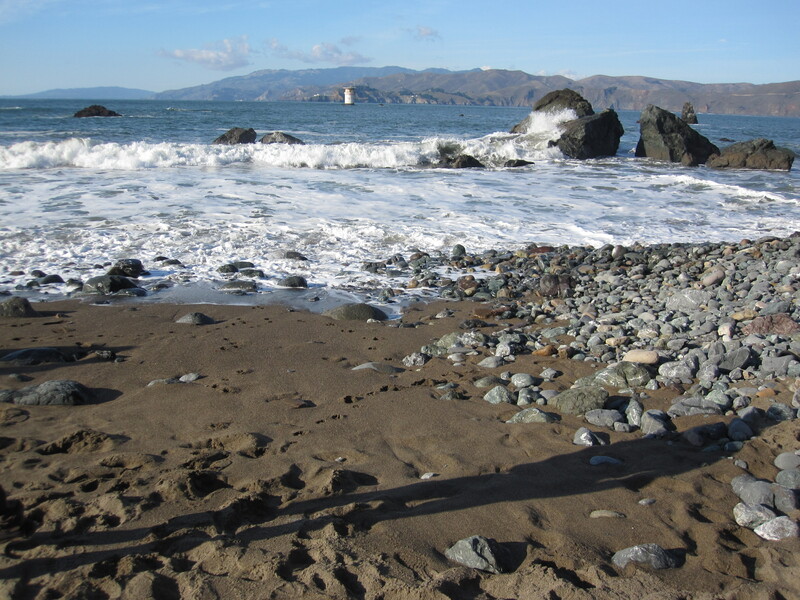 This entry was posted in Not pie and tagged hiking, lands end, san francisco. Bookmark the permalink.